A sideswipe accident occurs between two vehicles that are traveling in the same direction when the right side of one vehicle impacts the left side of the other. 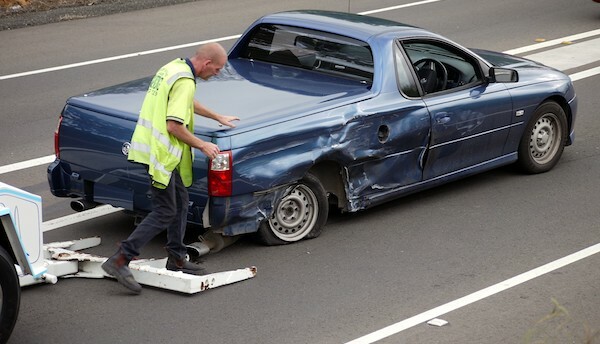 This generally happens when one or both vehicles involved move out of their lane when it was unsafe to do so. At low speeds, these kinds of car accidents typically result in only property damage and minor injuries. But at highway speeds, neither vehicle is typically aware that the collision is about to occur. The surprise of the impact may cause a vehicle to lose control and crash into other vehicles, barriers, objects, or leave the roadway. For those reasons, it’s important to have a breadth of understanding about these types of collisions. When two vehicles come into contact with one another, there is an endless number of reasons it occurred. But studies have shown that a majority of these accidents are a result of one or both drivers simply not paying attention to their surroundings. As you can see, a driver can make a wide array of negligent acts behind the wheel leading to a sideswipe accident. An experienced attorney will look at the facts of the case and determine if the negligence led to the accident and/or injuries. Even relatively minor sideswipe accidents can cause injury. Unfortunately, many people do not take their health seriously enough after a collision and fail to get checked by a doctor. It is important to receive treatment, just in case, as you could be more hurt than you realize. Injuries may not be apparent immediately, but those same injuries could have a long lasting impact on your health, happiness and ability to work and function. Again, sideswipe accidents are a type of car accident which may cause serious injuries like significant neck and back injuries and may require surgeries in certain cases. The person at fault is the party determined to be negligent and therefore responsible for the damages resulting from the collision. In car accidents, the party at fault’s insurance company typically must cover car repair expenses and medical bills, if injury occurred. Each and every sideswipe collision is different. In some cases, one driver is 100 percent responsible for the collision, making them responsible for picking up all the damages in the case. But in many cases both parties share the fault to some degree — 50/50, 70/30, 90/10, etc. If you are deemed to be 30 percent at fault for the accident in Washington state, you are entitled to 70 percent of the damages in the case. In some rare cases, an outside entity may be responsible for the sideswipe accident. For example, if a car’s turn signal or brake lights were malfunctioning and an accident occurred as a result, the manufacturer or mechanic responsible for those errors may be held liable. In cases where fault is contested, it may be in your best interest to consult with a legal professional with experience handling sideswipe accident cases. 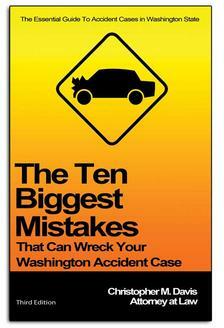 A majority of sideswipe accidents are relatively minor and do not result in major injuries. But if you have been involved in one of these accidents, the insurance issues can quickly turn into a massive headache. Consulting with a personal injury attorney and exploring your options can help you get the financial compensation for your injuries, loss of property, rehab, etc. For a free case evaluation with the Washington state car accident attorneys at Davis Law Group, P.S., call (206) 727-4000 today. You can also use the chat feature below or fill out the form on this page.